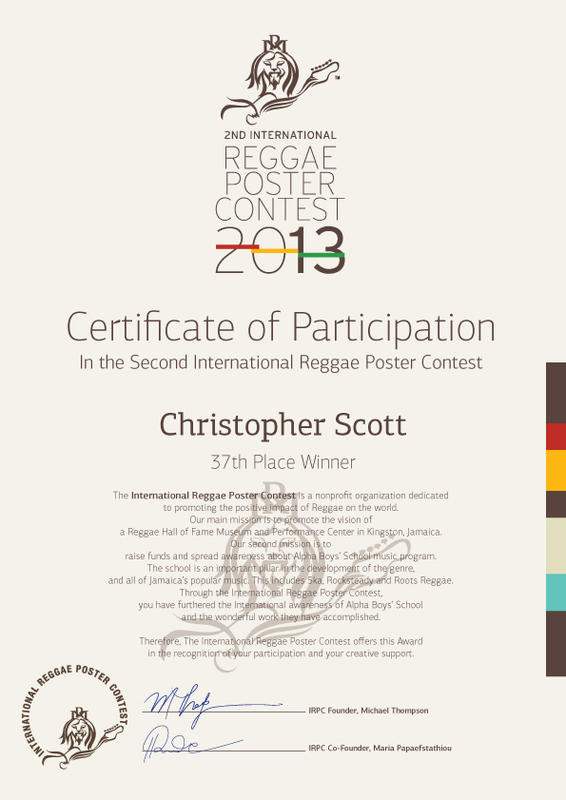 I am proud to announce my poster ‘Music Nature’ has been selected for the International Reggae Poster Contest 2013. You can view the selected 100 posters here. Below is the certificate I received by mail a few days ago. Thanks alot Steve. I love it and I cannot stop creating it.